I made this quilt this year as part of my mate Sarah’s Stained Quilt Along. 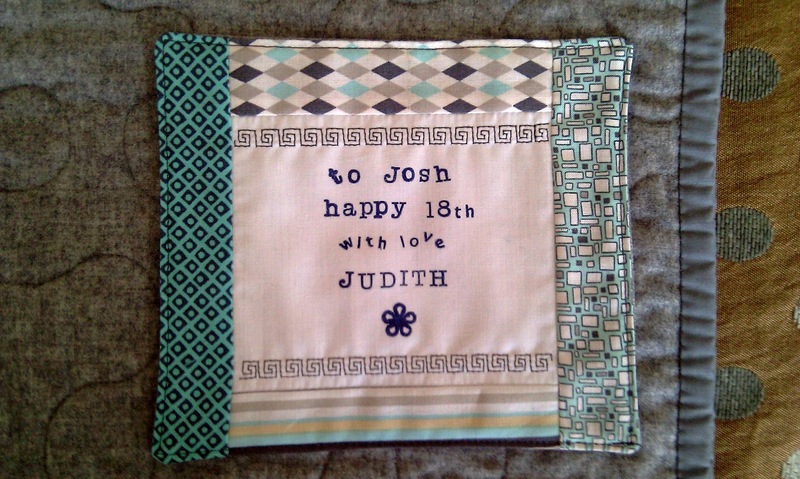 A little earlier than scheduled, my sister and I decided it would be a good day to present her handsome ‘almost 18 year old’ son with his birthday quilt. 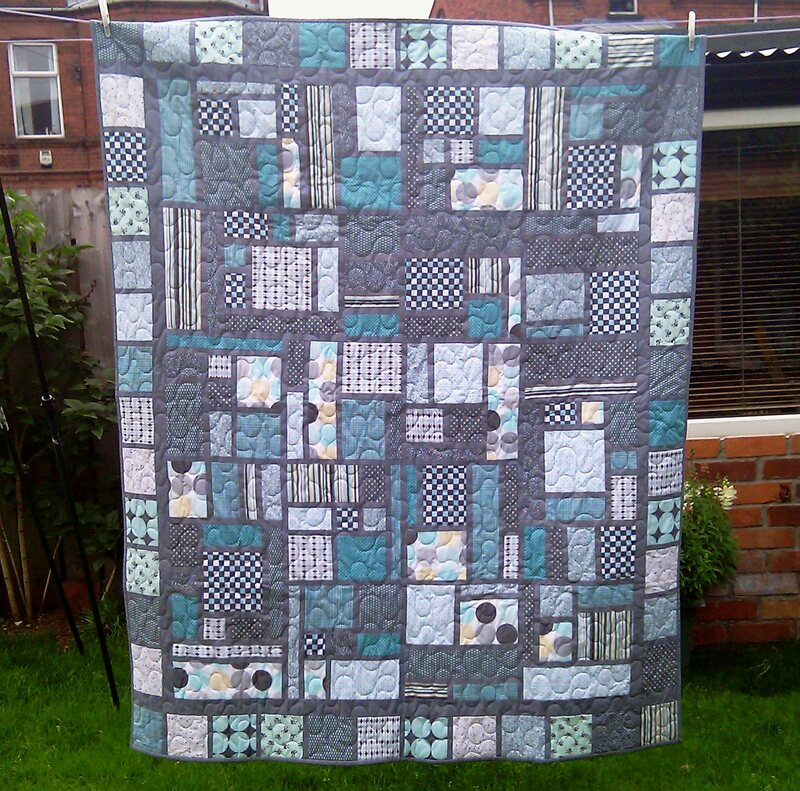 After the deliberations on what to call this quilt – ‘Stained Blue’, ‘Stained Grey’, ‘Slated’, ‘Hip to be Square’ etc. (thank you everyone for all the suggestions) I decided not to give the quilt a name. Unusual for me I know. But nothing seemed to be quite right and it just felt ok to leave the quilt nameless. And despite my wonderful nephew still affectionately calling me ‘Auntie JuJu’, I decided to put a more grown up label on the back. Anyway, he loved it and proceeded to drape it fully over the sofa in his room! Ah, giving is so satisfying! Another reason why I’m smiling today is because a very special lady (& her daughter) are coming to stay with me tomorrow! Many of you will know her (most certainly will know of her!!! ), she’s as nutty as a fruit cake and is one of the most selfless and caring people I have the privilege of knowing (not to mention uber talented too!). Check back this week to find out about my crazy visitor! Previous Previous post: One Way Traffic! Next Next post: Good Times!